Vaughan Constructions won a $12 million contract for a purpose-built cold store facility for Fresh Freight Tasmania located in Laverton North in Melbourne’s west. 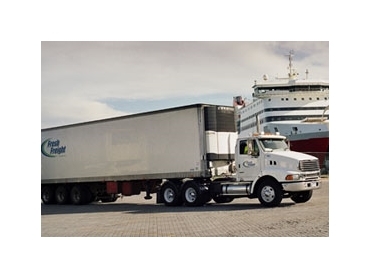 The privately owned Fresh Freight Tasmania is a freight forwarding company specialising in the movement of refrigerated and ambient food grade products, and offering 7-day-a-week service on Bass Strait. Knight Frank Director, Andrew Macqueen brokered the deal with Vaughan Constructions winning the project in a competitive environment. The facility comprises of a cold store measuring about 8,500m² on a site of approximately 24,000m². According to Mr Macqueen, there has been a significant rise in owner occupiers acquiring existing premises and vacant sites due to the limited options, particularly in Melbourne’s west. The shortage of quality industrial stock coupled with minimal new speculative development coming on-stream should see rentals and land values increase in line with growing demand. Vaughan Constructions General Manager, Andrew Noble said that the company has an established record in the dairy, food and agricultural industries with facilities built for Murray Goulburn, Parmalat, Burra Foods, Procal Dairies, Agri best, and Auspork. Vaughan Constructions is a leading commercial construction company with proven experience in delivering projects on time and within budgets.